"People who choose to use N95 respirators really need to follow the fitting instructions carefully. It’s important that the particles go through the filter, and not around the edges of the respirator"
The fires have become the deadliest in California’s history. Air quality alerts have been issued for dozens of California cities and surrounding areas. Emergency service departments recommended that people try to remain indoors to avoid exposure to smoke and ash, and wear a N95 respirator to help reduce exposure to airborne particulates when outdoors. 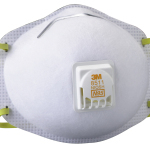 3M is a leading provider of NIOSH-approved N95 respirators. 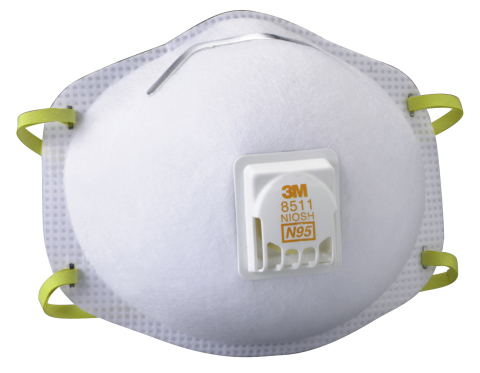 Used properly, the N95s filter out 95 percent of the particulate from smoke and ash, said Nikki McCullough, Global Application Engineering and Regulatory Affairs Manager at 3M’s Personal Safety Division. “People who choose to use N95 respirators really need to follow the fitting instructions carefully. It’s important that the particles go through the filter, and not around the edges of the respirator,” McCullough said. Respirators need to be securely strapped, with both bands in the right place, fit snugly to the face and formed around the nose to be effective, McCullough said. You have to wear the respirator as the User Instructions indicate. The American Red Cross is distributing 3M™ N95 respirators at 17 open shelters in Northern and Southern California, and has shipped additional respirators for distribution in the community once authorities determine it’s safe for residents to re-enter their homes. 3M emergency response team members are also meeting daily with American Red Cross and county officials to monitor need as well as to help in relief and recovery efforts. N95 respirators can also be purchased at most home improvement supply stores, industrial and safety supply stores and online retailers. Along with providing support in the wake of natural disasters, 3M works with humanitarian aid partners to pre-stock warehouses with supplies commonly used during relief operations. To date, 3M has donated more than 500,000 respirators for various natural disasters in 2018 and provided more than $1.5 million in cash and product donations. 3M was one of the first companies to establish a foundation in 1953, and since that time the Company has contributed $1.45 billion in cash and in-kind gifts to community partners.